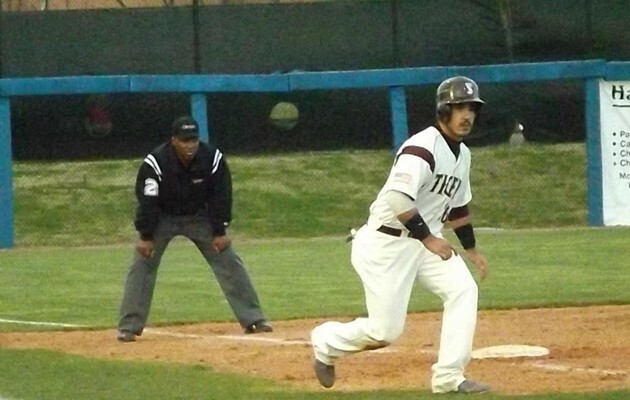 HAMMONDS, LA – The Texas Southern Tigers and Southeastern Louisiana went head-to-head in a battle that saw runs scored in all but the first and last innings of this tough match-up. Five Tigers earned RBIs in the TSU’s fight against Southeastern in game two of a three game series. Texas Southern scored first when Andrew Garza hit a sacrifice fly to right field in the second inning. Southeastern tied the game in the third. TSU responded and scored two runs in the fourth inning. Sebastian Stargell crossed the plate on a wild pitch and Manny Cabral scored on a sacrifice fly by Ellis Stephney. TSU led 3-1. Southeastern went up 4-3 in the bottom of the inning when they scored three runs. Stargell tied the game, 4-4, in the fifth inning when he singled to left field which allowed De’Mario Thibodeaux to score. Southeastern took the lead again in the sixth inning when they scored two runs for a 6-4 advantage. The Tigers came right back and tied the game 6-6. Cabral doubled to left field for TSUs first score of the inning. The second run came when Adrian Lopez walked home. But Southeastern walked away with the win after they scored the final run of the game in the eighth inning. The final score Southeastern 7, TSU 6. Stargell, Cabral, Stephney, Garza and Lopez each had one RBI in the game. Cabral and Thibodeaux had three hits. Robert Pearson got the start. He pitched 5.1 innings with three strikeouts, five earned runs and three walks. Adrian Losoya got the loss after 1.2 innings with one strikeout and one earned run.